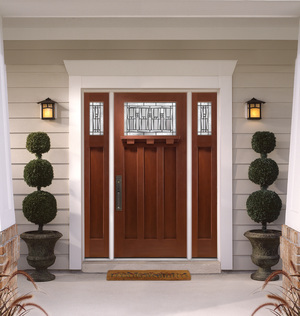 We partner with Florida Made Doors to bring our customers beautiful and durable entry doors. They offer a range of panel designs and glass configurations, so each door has character and charm, fitting perfectly with your home’s style. These doors are inspired by millwork craftsmanship because often it’s the details that make the whole more inviting. You’ll enjoy industry-leading warranties for these products as well. Their impact-rated doors meet HVHZ standards. You’ll never have to compromise aesthetics for functionality. Florida Made Doors delivers both. Florida Made Doors is based in Florida, not far from Armored Dade, so you can expect a fast turnaround time in most instances. They offer pre-hung doors and slabs with prefinishing as well, so we’re confident that we can get your doors installed fast. Regarding installation, Armored Dade can install your new Florida Made Doors products with care and precision. You don’t want to dismiss this important step or hired an inexperienced crew. Our team will meet your timeline and install your entry door for your Florida home quickly and effectively.